Try Potti-Dots to help sway the 'no toilet' vote! Try Potti-Dots to help sway the ‘no toilet’ vote! Toilet training. Two small words that are often met with exhausted sighs and desperate faces from parents willing to take on any suggestions that might encourage kids to use a toilet. 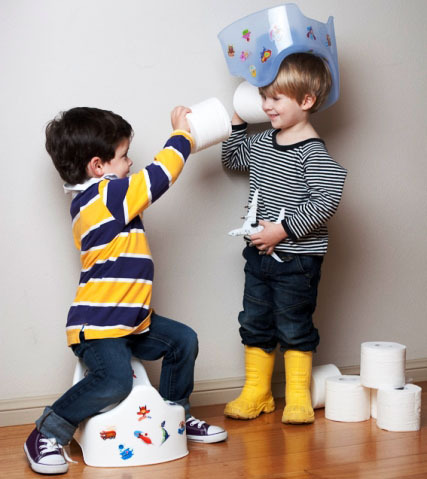 There’s no denying toilet training is a challenge for many children. Some take easily to change while others are set in their ways and dig their heels in. It’s a matter of finding something that will work to sway the ‘no toilet’ vote from your child. With reward (or bribery) in mind, I think Potti-Dots may be a winner for many. Potti-Dots come in a pack of twenty and are toilet orientated, so don’t be alarmed by encouraging words that read “Good aim”, “What a wee” and “Weee-lyy good”, just to name a few! These stickers are designed to be stuck on and easily removed from any surface, namely the toilet or potty – best warn any visitors wanting to use the toilet first that it’s decorated! 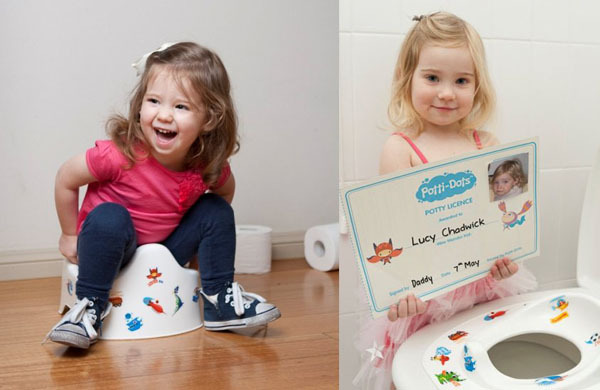 Included with the Potti-Dots is a ‘Potty Licence’ you can personalise for when using the toilet is finally mastered, an added incentive that is great fun for children to show off to family. Available in a girls’ set and a boys’ set, Potti-Dots will set you back $8.95 and are available from Potti-Dots, with delivery all over Australia.